Within all litigation and specifically in employment law, the topic of evidence is often addressed to strengthen claims and prove damages. One scenario that causes concern and gives rise to additional questions is whether it is useful, or appropriate to secretly record conversations with your boss and/or co-workers. In Canada, there is the principle of “one party consent” meaning, it is not contrary to the criminal code to record conversations you are a part of, i.e. you are a party to the conversation and therefore, can consent. However, if your managers are having private discussions, without you, you cannot secretly record that conversation, because there are no active parties that can consent to the recording. So it would generally not be a crime to record a phone call that you have with someone. But if you use a recording device to record conversations when you are not in the room that might be considered ‘bugging’ and be illegal. Aside from the lawfulness of the recording, the next area is whether recording the conversation is a good idea. These types of questions often arise when there are issues with performance or if the employee feels they are being mistreated or harassed in some way. 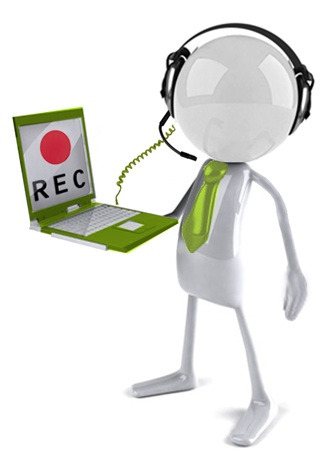 Recordings can assist with clarifying what is being said and avoid confusion, but recordings can also cause strain on an employment relationship and increase tensions. The main principle in any employment relationship is trust and confidence, and when this is broken it can cause more serious issues within the workplace, leading to a potential termination. Because in non-unionized jobs in Ontario employers can always terminate employees ‘without cause’ by providing reasonable notice it is clear that an employer could always choose to take this route if they discover that an employee is making secret recordings. They could also try to terminate for cause. In the recent case of Hart v. Parrish & Heimbecker, Limited, the employee began recording conversations after several incidents within the workplace and allegations of harassment. He placed his cell phone on the table in the record mode and opted not to notify the other participants. During trial, the Defendant relied on the Plaintiff surreptitiously recording meetings with senior management as a deliberate violation of his duty of confidentiality and a breach of trust and loyalty to the defendant. The company argued that the employee misused the company phone for a purpose that it was not intended for. This act itself would have led to termination if they were aware of the recordings at the time they were made. They also relied that since the breach was discovered after the fact, it may still be grounds for dismissal. It was agreed that the Plaintiff had his own personal motives for making the recordings and that he knew or ought to have known that doing so was not necessarily in line with the confidentiality obligations to his employer. It was determined that the employee’s use of his cell phone to secretly recording meetings with his superiors was at odds with privacy obligations to his employer. The recordings in this instance worked against the Plaintiff. They were relied on to refute his claim that the Defendant condoned his conduct. The recordings were reviewed and determined that it was clear the plaintiff understood the company’s concerns and that its complaints were serious and not acceptable. The mere fact that the Plaintiff secretly recorded the meetings for his own personal advantage was used as further evidence that he was aware of the concerns. Therefore to some extent the ruling was based on that the employee appeared to be fighting hard to include recordings that were actually in the end detrimental to his case because he didn’t understand the legal basis for his claims. The case did not establish that recording others at work is cause, but certainly the fact-finder in this case was not happy with the actions of the employee. In this case, the recordings did not assist the employee in anyway and arguably put him at a disadvantage. It also may have bolstered the employer’s argument that there was a breakdown in the relationship as issues of trust, honesty and deception can warrant a termination for cause. Those who intend on recording conversations should be vary cautious in doing so, even if the recordings are kept confidential and not disclosed to third parties, the act itself may be enough to break the trust between the parties. If you are having concerns within the workplace and are unsure of appropriate actions contact an employment lawyer to discuss your options.